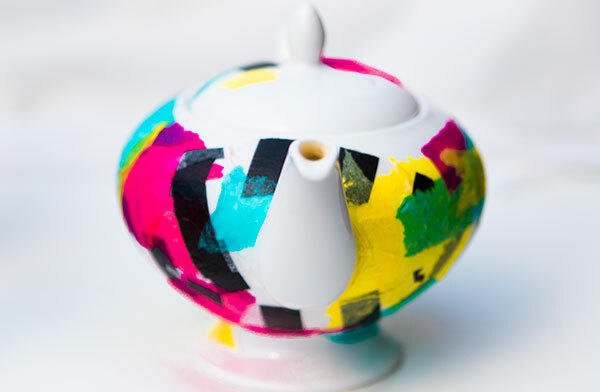 So I saw this awesome DIY Tissue Paper Watercolor mug blog post the other day and had two thoughts. The first, oh my gosh I really love this and have to try it! And the second, those mugs need a tea pot to go with them! And voila! Here it is. 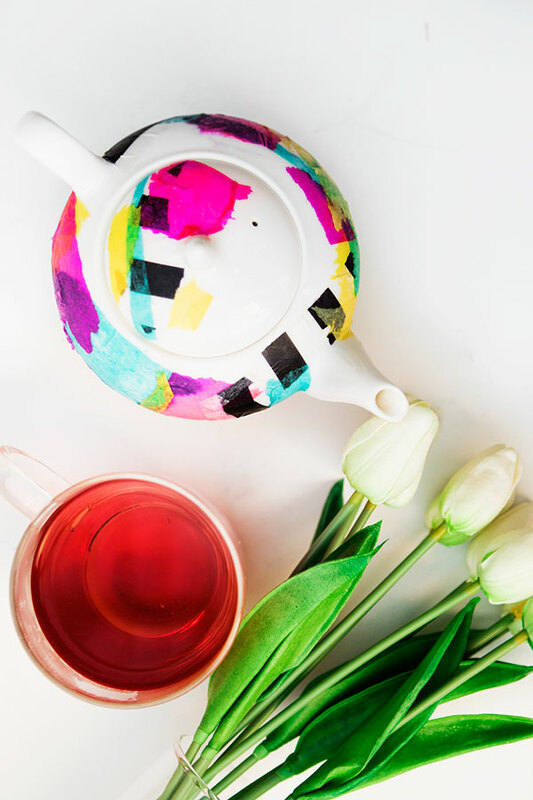 Make some tea and enjoy – that’s it! 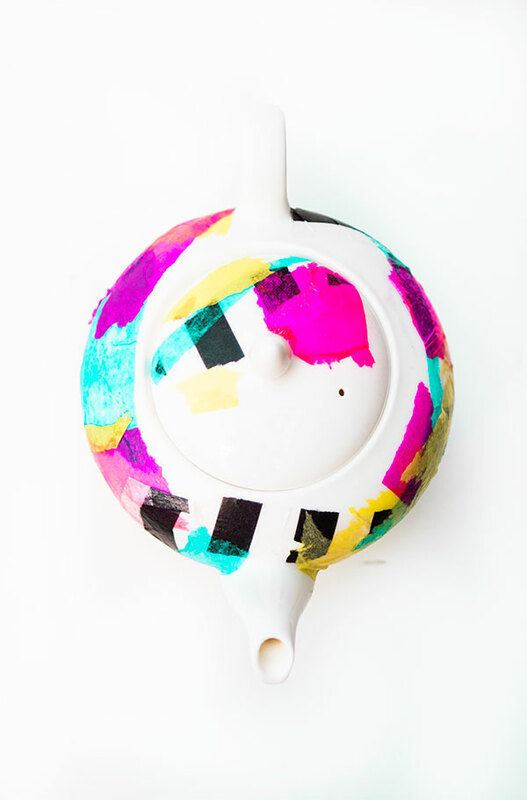 I really love this craft because you can mix up the colours, make matching sets and easily gift this to others (or keep it for yourself and impress guests when you host your next tea party! This is freaking adorable. I love all the colors so much. How did I not know Mod Podge came in dishwasher safe? Thank you! I know, it’s changed my world of crafting! Just make sure that the label says Dishwasher safe and you’re good to go! I am definitely going to be buying some dishwasher-safe mod podge now! Too cute! So sweet & I love the paper you chose!